Two-way radios offer a superior form of communication for people working together during projects, events, or emergencies. If you only need two-way radios for a specific event or period of time you may not want to buy a whole fleet of radios. It is more cost effective and less of a hassle to rent radios if you only plan to use them for a certain extent of time. You can rent two-way radios for any time range, you simply pay a low fee for the days you need them. As a result of the ease, affordability and convenience more and more people are turning to radio rentals. Here we answer some of your most commonly asked questions about renting two-way radios. What do rental radios come with? There are a number of accessories that can be attached to two-way radios to enhance communication, such as headsets or surveillance microphones. Rental two-way radios come standard with batteries, spare batteries, chargers and antennas. With these accessories your rental radios will work efficiently, but what you need additional tools? For instance, if security personnel at an event use radios, a surveillance microphone might really come in handy. Instead of running out and buying surveillance microphones, simply inquire about additional accessories you can rent with two-way radios. 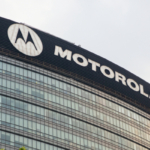 How far in advance do you need to rent two-way radios? Planning ahead is always advised because it guarantees that the radio and accessories you need are available when you need them. Still, last minute needs are known to crop up. You can almost always rent two-way radios, no matter how little notice you have. You may need to plan ahead better depending on the time of year as the availability of radios tends to fluctuate seasonally. For instance, during the spring there are a lot of graduations, weddings and other large-scale events that result in a spike of rented radios. In the middle of winter, chances are there are more radios available for rent, even at the last moment. Can I rent two-way radios to work with radios I already have in use? A benefit to renting two-way radios is the ability to add to your current fleet of two-way radios for a special event. Regardless if you have a lot of radio equipment or none at all, two-way radio rentals are flexible enough to cater to you. You can rent radios that operate on your private licensed frequencies, or an established frequency can be provided. Are radio rentals only for short-term use? 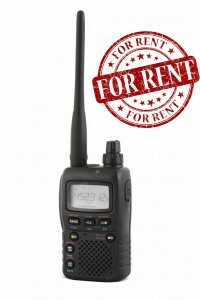 Two-way radio rentals are available for both short-term and long-term. Do I need to get a license to operate rental radios? The FCC requires a special license for most amateur radio usage. You can rely on common or default frequencies in your area, which may not require a license but then you are forced to deal with the possibility of others trying to use the same frequency. This can seriously complicate matters. If you have a license for your very own frequency you don’t have to deal with issues related to interference. It is very easy to get licensed and the license lasts for 10 years. 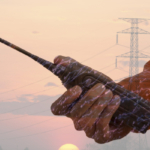 What sorts of benefits will two-way radios provide? 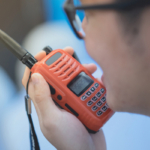 Two-way radios provide extensive benefits in terms of communicating in areas where other forms of communication are unavailable, as well as during emergencies, or large scale events. Is there insurance available for radio rentals? Insurance coverage is available for two-way radio rentals. Insurance will protect you against accidental damages that occur during normal usage, such as a dent or scratch caused by someone dropping the radio on the job site. Insurance does not cover damages caused by unintended usage. For instance, damages will not be covered if you jump in the pool with a non-waterproof radio in your pocket. What is the best radio to rent? This question has a lot of answers, all dependent upon what you need to get out of your radio. If you only need to communicate across short distances you will be fine with a low-range, basic model. If you need the power to communicate across vaster distances you may require a more powerful radio. Depending on where radios will be used you may want to consider waterproof and dustproof options. GPS, Bluetooth and a full color screen are other additional options you may or may not require. Give us a call and we can help you decide on the best radio for your needs. What if I need to rent radios for longer than expected? In almost all cases rental periods can be extended as needed. Contact us as soon as possible to arrange a rental extension. 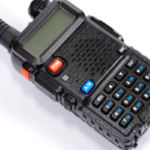 Highland Wireless offers affordable and convenient two-way radio rentals. Contact us today to learn more!